Prolonged life and protection, your trampoline can stay outside throughout the winter or during extended periods of non-use thanks to this protective cover. Custom made for the Initio 430 this cover will protect the trampoline from dirt and the elements it will stop pollen, UV, snow etc. 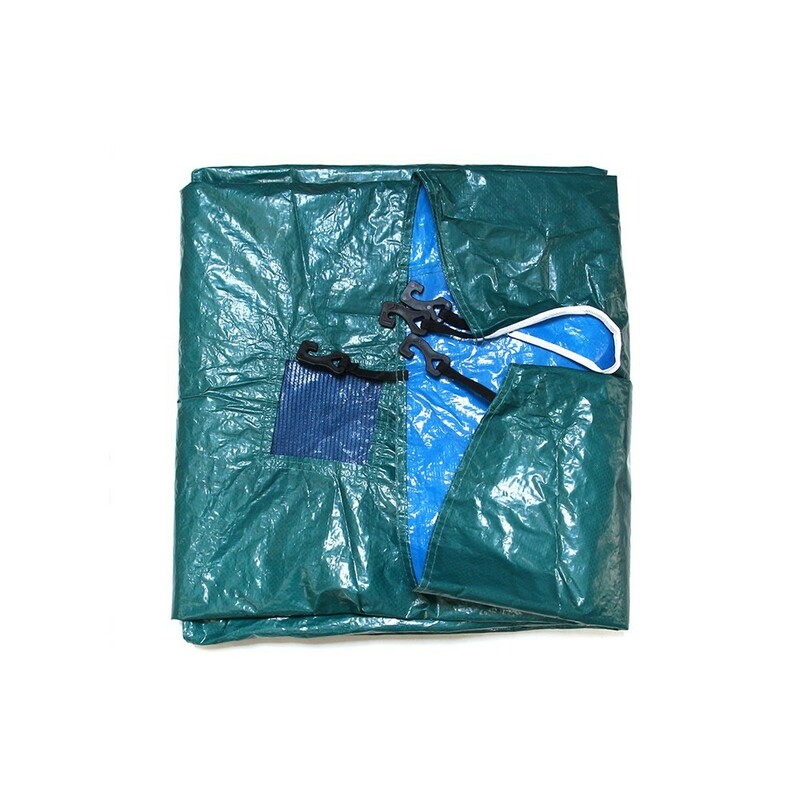 Made from green PVC it is easy to fit thanks to the attachments that hook under the jumping mat. A mesh for draining rain water is fitted in the centre of the cover to avoid any stagnant water build up damaging the jumping mat.